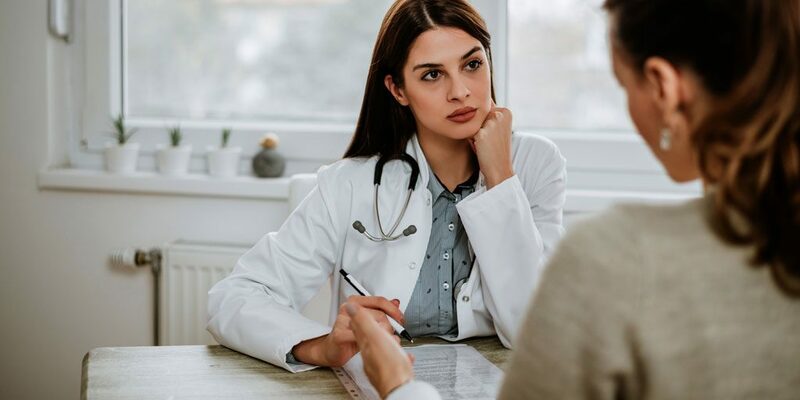 Lichen Sclerosus and Vulvar Cancer: What are the Risks? Whenever we are diagnosed with an unfamiliar medical condition, one of the first questions that come to mind is if this health issue will increase our risk of cancer. A diagnosis of lichen sclerosis is no different – and does come with increased risks. Women must be especially vigilant about the various reproductive health issues that can contribute to cancer risks, including HPV and lichen sclerosus, which increases the risk of vulvar cancer. By mitigating risk factors as much as possible and treating and monitoring lichen sclerosus carefully, the risk of cancer can be lowered. Early detection of changes indicating vulvar cancer means women can seek effective treatment in early and even pre-cancerous stages. What are the Risk Factors for Vulvar Cancer? Most women diagnosed with vulvar cancer are older than 50, and only a small percentage of vulvar cancer occurs in women ages 40 and under. The risk of lichen sclerosus becoming vulvar cancer is additionally increased when the initial diagnosis of lichen sclerosus is made in women over the age of 70. The lifetime risk for developing vulvar squamous cell carcinoma (SCC) as a complication of lichen sclerosus is estimated to be anywhere from 4 to 6 percent. What is Vulvar Lichen Sclerosus? Vulvar lichen sclerosus is a chronic disorder of the skin. Typical lesions of lichen sclerosus are porcelain-white papules and plaques, often seen in conjunction with areas of ecchymosis or purpura. The skin typically appears whitened, thinned and crinkling. The condition can cause severe itching, pain and discomfort as well as interfering with sexual activities and even urination as the lesions fuse. How does Vulvar Lichen Sclerosus Impact Vulvar Cancer Risk? Vulvar lichen sclerosus is considered a premalignant condition. Lichen sclerosus comes with considerable risk for malignant transformation and anyone who is diagnosed will require ongoing monitoring. Early detection and diagnosis of invasive lichen sclerosus lesions are crucial to reduce the risk of vulvar cancer. Changes in the surrounding skin cells that produce keratin, including chronic inflammation and sclerosus, may be responsible for the increased risk of vulvar cancer. In most cases of vulvar cancer, lichen sclerosus, squamous cell hyperplasia or VIN have affected adjacent cells. Lichen sclerosus is found in adjacent regions in up to 62% of vulvar cancer patients. Treatment of lichen sclerosus used to depend heavily on topical steroid creams. While steroids are effective and widely used, new research in laser therapies is finding longer-lasting success. Coyle Institute is leading research in the study of using erbium laser therapy as a lichen sclerosus treatment. The ProFractional™ laser system creates a grid where the erbium laser targets tissue with a high affinity for water. The Sciton laser system allows the team at Coyle Institute to adjust the depth of treatment for each woman to optimize her results. Coyle Institute patients have reported 100 percent recovery from all lichen sclerosus symptoms following a session of ProFractional™ laser therapy, including new, healed vulvar skin and tissues. These women can then return to pain-free lives and rekindle their intimate relationships. Laser treatment at Coyle institute also includes biopsies of affected tissues to gauge the depth of lesions and the effectiveness of treatment. This thorough examination of affected tissues means that changes in tissue – for better or worse – can be addressed through adjustments in treatment and any indications of malignancy can be spotted and assessed in their earliest stages. The increased risk of vulvar cancer is just one more reason why lichen sclerosus should be diagnosed early, treated as completely as possible and carefully monitored. The expert team at Coyle Institute has experience in successfully treating and managing vulvar lichen sclerosus. Every woman should be aware of their vulvar cancer risks and be secure in the knowledge that they are getting the very best treatment and preventative care. If you suspect you have lichen sclerosus, early treatment is imperative to lower associated risks. Call our compassionate team today and schedule your consultation.